Boys + Girls pulled off a major coup earlier this year when the eight-year old agency persuaded former Saatchi & Saatchi CEO Robert Senior to join them as chairman. In his first interview since taking up his role, he speaks to John McGee. 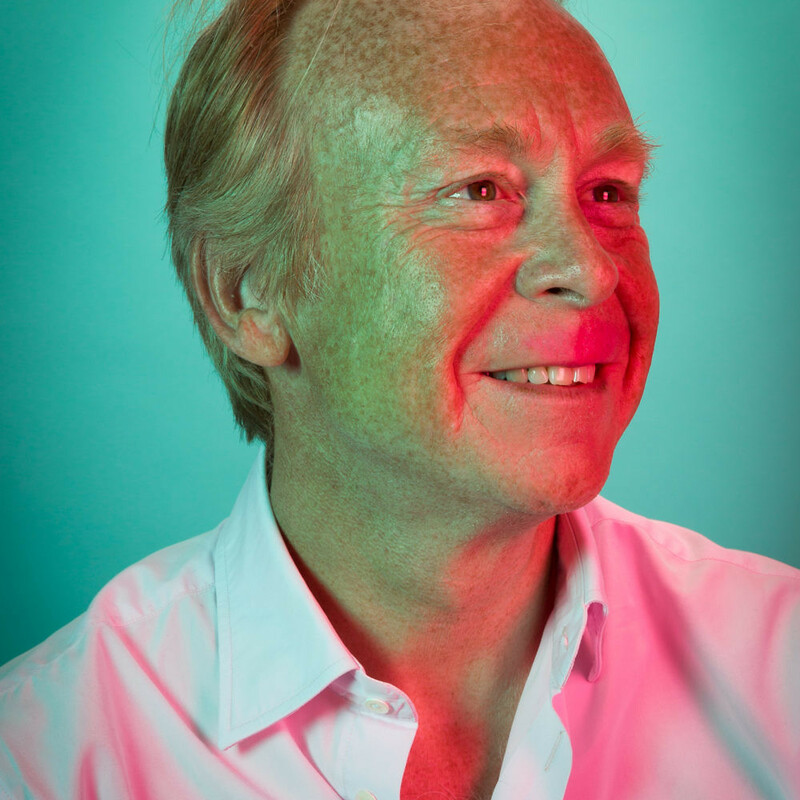 With a long and distinguished career at the helm of some of the world’s leading creative agencies, Robert Senior needs little introduction in adland. But few in the industry would have expected him to end up as chairman of the Dublin-based agency Boys + Girls, a position which came about purely by chance. Now the agency, which is Ireland’s largest independently-owned creative agency with 55 staff and growing, will be hoping to tap into Senior’s knowledge of the industry. After all, he has been there, done that and has many t-shirts to his name to prove it. Although still in his mid-50s, Senior has packed a lot into his career in advertising which spans more than 30 years. You could say that when it comes to the old dog for the hard road, they don’t come more senior than, well, Senior. Although he started out working in London agencies like BWBC & Co, D’Arcy Masius Benton & Bowles (DMB&B) and later Simons Palmer Clemmow & Johnson (now part of TBWA) in the 1980s, he is best known for co-founding the multi award-winning agency Fallon in 1998 which was later sold to the French agency group Publicis in 2006. More recently he spent time as global CEO of Saatchi & Saatchi, a position from which he stepped down in late 2017. Some of the most memorable advertising campaigns over the last 15 years were created by both Fallon and Saatchi & Saatchi under Senior’s watch. These include the campaign for Sony Bravia which involved sending 10,000 coloured balls hurtling down a hill in San Francisco; making a Skoda out of a cake and when Saatchi & Saatchi staged a flash-mob dance in Liverpool Street Station for a T-Mobile promotion. Possibly the most memorable of all, however, was the Cadbury’s gorilla campaign which featured a silverback gorilla playing the drums to the tune of Phil Collins’ “In the Air Tonight”which made its TV debut 11 years ago in August 2007 and has garnered more awards than you can shake a stick at. Q: So how did the introduction to Boys + Girls come about? a meeting of the minds. In many ways, it reminded me of my Fallon days in terms of the spirit of the agency and how they obsess over the work and about doing the right thing for their clients. But also, they are personable, lacked arrogance and are baked with integrity. So, I felt a great affinity with their values, their culture and their angst that the job is never good enough; that sense that however good it is, it could be that bit better and trying constantly to make it better,” he adds. In terms of what he can bring to the agency, he is hopeful that whatever it is, it will be good for it while his experience and knowledge can unlock hidden potential and, hopefully, win it new business internationally. “Well, I think I have the advantage of experience which hopefully I can bring to the agency. And while I have experienced success, I’ve also experienced many disappointments and that’s always hard. But it’s how you cope and deal with those successes and disappointments and how you try and avoid making mistakes again. But it’s about what success looks like and keeping your eye on the ultimate prize. I’m an outsider and I’m not part of the Dublin advertising industry so clearly I don’t have any deep knowledge about the agency’s competitors and the rhythm of their clients and how they operate. But equally I’m objective enough to look at it and say, ‘yeah you may be one of the most creatively awarded agencies in Ireland but, you know what, you are actually better than that.’ So maybe there is a horizon beyond the existing one which is worth staring at and maybe they can raise the bar even higher than it is now. So, I’m putting a mixture of experience and objective ambition on the table,” he says. At a time when the entire advertising industry is facing an existential crisis with agencies pondering the role they should play in the future and the kind of business model they should adapt, Senior believes that it’s important not to lose sight of the bigger creative picture and that agencies should not feel intimidated by change, particularly when it comes to digital. “One of the most important things is not to allow yourself to be outshouted in the playground. What technology is capable of doing is unbelievable and incredibly exciting, but it’s not intimidating – it’s simply a new canvas on which to work. Creativity is still the art and technology the canvas and we are being offered new canvasses all the time. This is something to feel liberated and excited about, not imprisoned by. The voices that shout loudest tend to be the biggest and they tend to be the ones- frankly in my opinion- who are decorating medieval institutions with the language of digital transformation. It’s highly decorative and opaque, and with that it can become quite intimidating. Whereas the pure creative spirit understands that it the power of an idea and that the power of language can help change behaviours and how that is carried through can either make it sing or kill it. So, the two things one not to lose faith in the power of the idea and not allow the mood music to devalue the currency of ideas and, of course, remain just as obsessive and thoughtful about those ideas. But at the same time- and equally important- is to totally embrace the different canvases. And that requires total open-mindedness as well as openness to collaboration and anything else that’s going to make the idea work harder,” he says. Having already witnessed many changes in the advertising industry down through the years, he says digital is possibly the biggest and most disruptive of them all. “I’d have to say digital because it’s brought down the cost and the barriers to entry and it has democratised that great gift of sound and vision and story-telling. However, whether it’s been a good thing for advertising, I don’t know but it has certainly given us a much bigger canvas on which to work. And I suppose it’s good that a big budget is no longer a prerequisite for a famous campaign. But also, your creativity becomes a point of competitive advantage and not the size of the budget you have,” he adds. Consistency in advertising is an issue which many brands appear to struggle with and the resulting short-termism which is evident throughout the industry is not a good thing according to Senior. “I think short termism has always been there, it’s just more pronounced now because you can do more and you can do it quicker from digital platforms. So, that short term impulse has just been given bionic powers. But yes, it has had an effect. I think there are very few long running campaigns out there and certainly fewer than there used to be. It’s remarkable when you see one, you go ‘god they are sticking to that, well good on them.’ It’s a terrible millennial trait to constantly move on and change and change everything all the time. There is something quite powerful about a consistent campaign with a consistent proposition. They are old fashioned. It’s like when you meet a friend, you like them partly for their consistency whether its their sense of humour, their great humanity or both and you like being in their company for those reasons. When an individual is not consistent, you might like to go occasionally for a pint with them, but you don’t have the same loyalty to them and they won’t have the same loyalty to you,” he says. And therein lies the challenge facing most advertisers he says. This article first appeared in IMJ Agency issue, 2018.